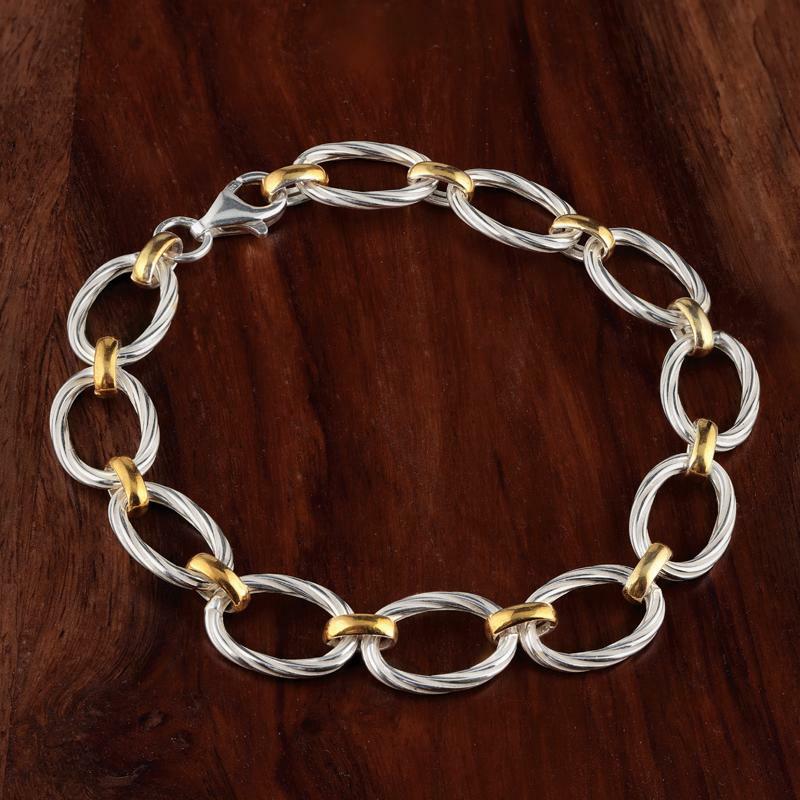 Since women have been wearing jewelry (and that’s a very, very long time) they’ve faced the dilemma of deciding between two colors–– silver or gold. We say, why not wear both. 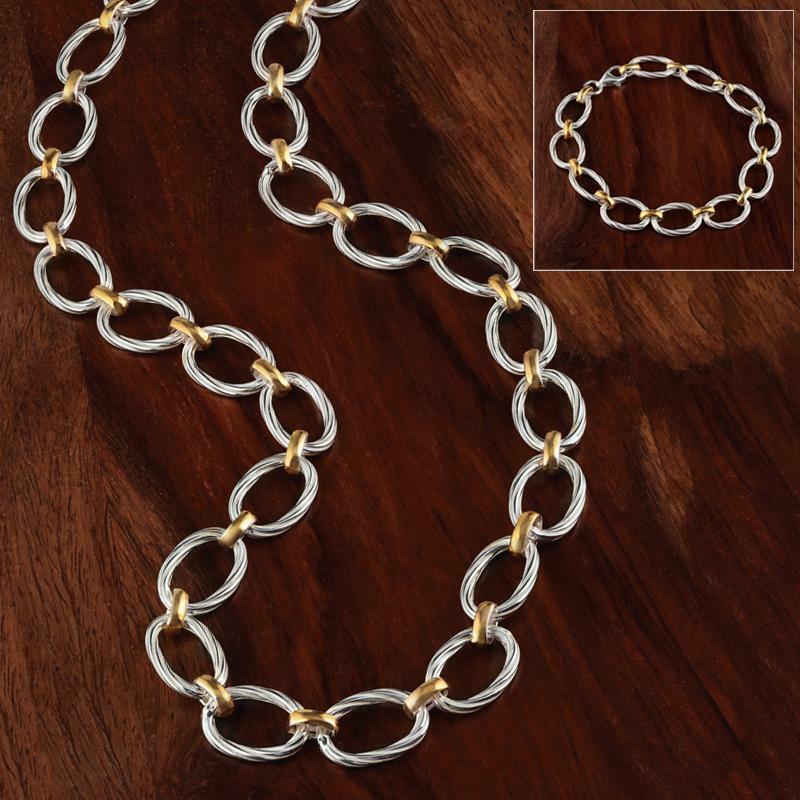 In the Due Toni Collection, alternating links of sterling silver and gold-finished sterling silver form stylish chains that beautifully solve the problem of silver versus gold. These pieces can easily be worn with your other silver and gold jewelry. 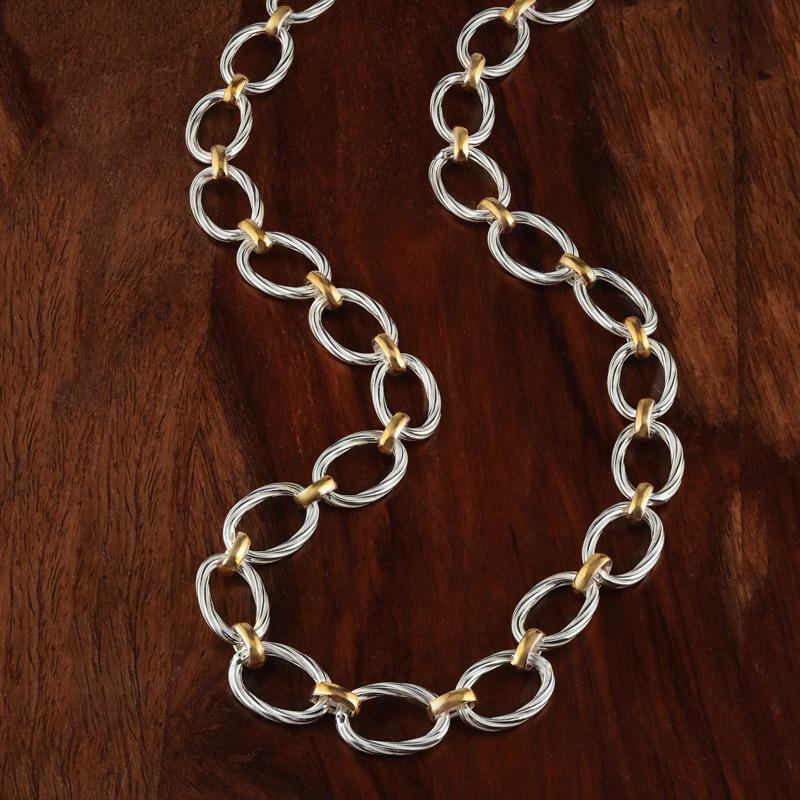 It’s effortless elegance, and you simply can’t go wrong. And, with this price it’s a no brainer.